NASA is to send a HELICOPTER to Mars. The venture, the first time such an aircraft will be used on another world, is part of the US space agency’s 2020 mission to place a next-generation rover on the Red Planet’s surface. The remote-controlled Mars Helicopter is designed to take flight in the thin Martian atmosphere with twin counter-rotating blades. It weighs about four pounds (1.8 kilograms), with a fuselage the size of a softball, NASA said. Its blades will spin at almost 3,000 rpm, roughly 10 times the rate employed by helicopters on Earth. Mimi Aung, the Mars Helicopter project manager at NASA’s Jet Propulsion Laboratory, said: “The altitude record for a helicopter flying here on Earth is about 40,000ft (12,200m). NASA officials said the rotorcraft will reach the Red Planet’s surface attached to the car-sized rover. After placing the helicopter on the ground, the rover will be directed to drive to a safe distance to relay commands. Controllers on Earth will command the helicopter to take its first autonomous flight after its batteries are charged and tests are conducted, NASA said. NASA said it plans a 30-day flight test period that will include up to five flights, starting with a short vertical jaunt to hover for about 30 seconds at an altitude of 10ft (3m) and progressing to flight distances up to a few hundred yards and durations up to 90 seconds. 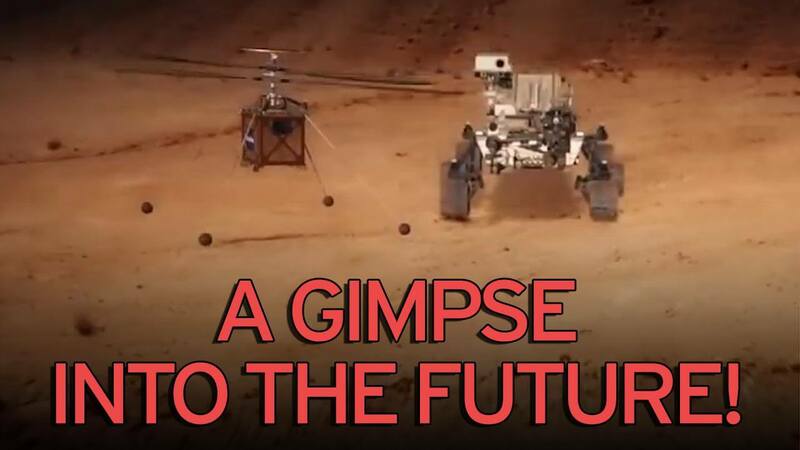 The Mars 2020 rover mission is scheduled to launch in July 2020 from Cape Canaveral Air Force Station in Florida and reach Mars in February 2021. The rover is designed to carry out geological studies and ascertain the habitability of the Martian environment, NASA said.